I am a fan of any sort of apocalyptic fiction. Movies. Books. Anime. Weird Al songs. You name it. If it posits a future after the world we know is gone, I’ll give it a try. 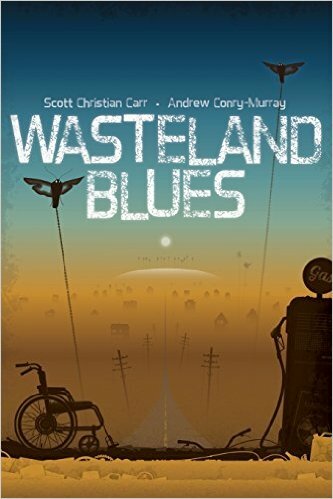 Thus it is that I recommend Wasteland Blues to you by Scott Christian Carr and my fellow Packet Pusher Andrew Conry-Murray. You should get the book, which is currently rocking 4.7 out of 5 stars on Amazon. Oh, so you’re recommending a book by a friend of yours. Gee, why should we trust your obviously biased opinion? You’re not wrong. This is a book co-authored by my friend, Drew. I am biased. No doubt about it. So…let me put it this way. I read & watch a lot of sci-fi in my spare time. While most of the fiction I consume falls right back out of my head, I remember Wasteland Blues. That says a lot.